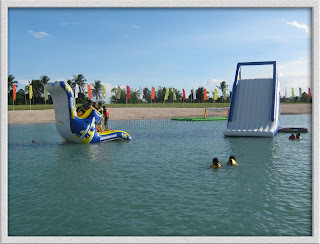 Going to the Camsur Watersports Complex has been a must-do everytime we take a vacation in Naga City. 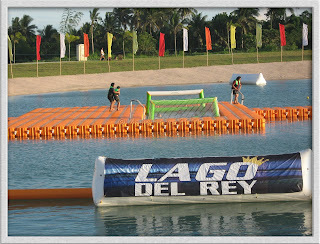 The place never fails to surprise us with new amenities and the latest of which is Lago del Rey. Lago del Rey is a long man-made lagoon set up within the vicinity of the Camsur Watersports Complex. 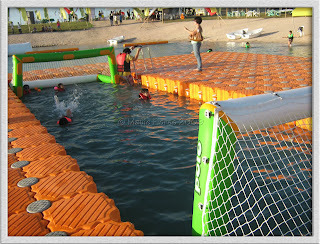 It is designed to be an aqua park of sorts, an alternative to wakeboarding and swimming which is offered by the watersports complex. Usually, when we visit the capitol, we stay in the nearby EcoVillage and leave the kids with some relatives so they can swim in the kiddie pools there. 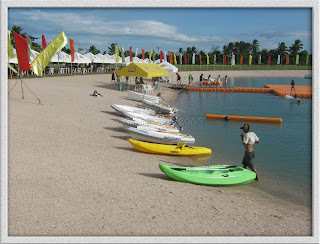 Then, we head to the Camsur Watersports Complex to get a massage or watch the wakeboarders while enjoying free WiFi. 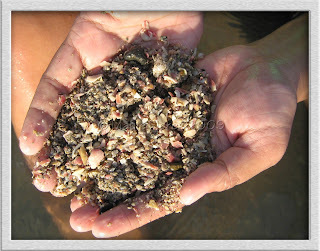 This time around, we need not do that anymore because Lago del Rey is kid-friendly. So that afternoon, my husband and I, together with my son, brother, and nephew, signed up for an hour of swimming in the activity area of the aqua park. That cost us Php 120 each. After signing up, we headed to the life vest area where we were given life vests to use. I thought that the life vests are given to adhere to precautionary measures. 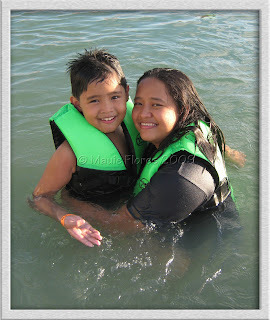 It turned out that we will really need to use the vests so we can swim in the deep waters of the lagoon. My brother's height is around 5'10" and he told me that his feet cannot touch the bottom. My feet touched the bottom only a few feet away from the shore and what I was standing on felt like concrete. The shore was lined up with sand but it was not fine enough to let me walk on it without my flip flops on. I was like a kid playing in the water again. See the big slide in the picture? I got on top of that and slid my way down to the water! My husband and I also played along with my son and nephew in the obstacle course. 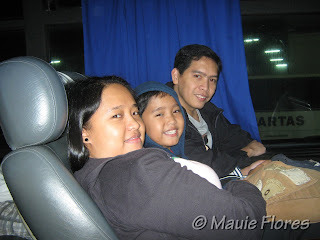 I had the merry mix of happiness and exhaustion even before our time ended. The next time we go home, I will make sure to go here a little early and book ourselves for the whole day. Aside from playing in the aquapark, Lago del Rey also offers other water activities like renting a sailboat, playing water ball, riding a jet ski, and even wakeboarding behind a motor boat. Each activity has a designated area in the long lagoon so it is perfectly safe to be in the aqua park while the other guests do these activities. We got out of the water at around 5:30 in the afternoon but we lingered on around the area for a little longer. The Lenten season gave the place a festive air with the presence of tourists not only from the country but also from other parts of the globe as well. As my arms and legs were already aching from the antics I did with the kids in the aquapark, I resolved to just sit on the grass beside the lagoon with some chips and a bottle of juice. Others were also sitting on the grass enjoying the sunset. Some of the people sitting on the grass were locals who just went there to see the sights and have free enjoyment. 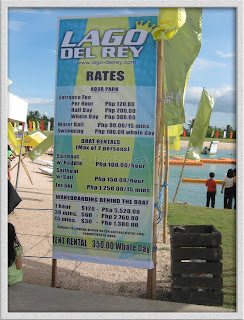 You see, guests only need to pay when they use the aquapark, swimming pool, and wakeboarding facility. Going around the place is free like when you're taking a stroll in a park. 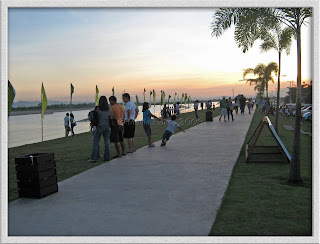 It reminded me of Manila's Baywalk. Indeed, Gov. 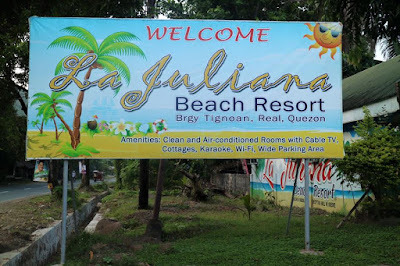 LRay Villafuerte did not only put up a world-class facility to generate income for the province but also gave the Bicolanos a place where they can spend time with their families without spending much. I envy you for having such a great time! I wish they bring back the slides! !